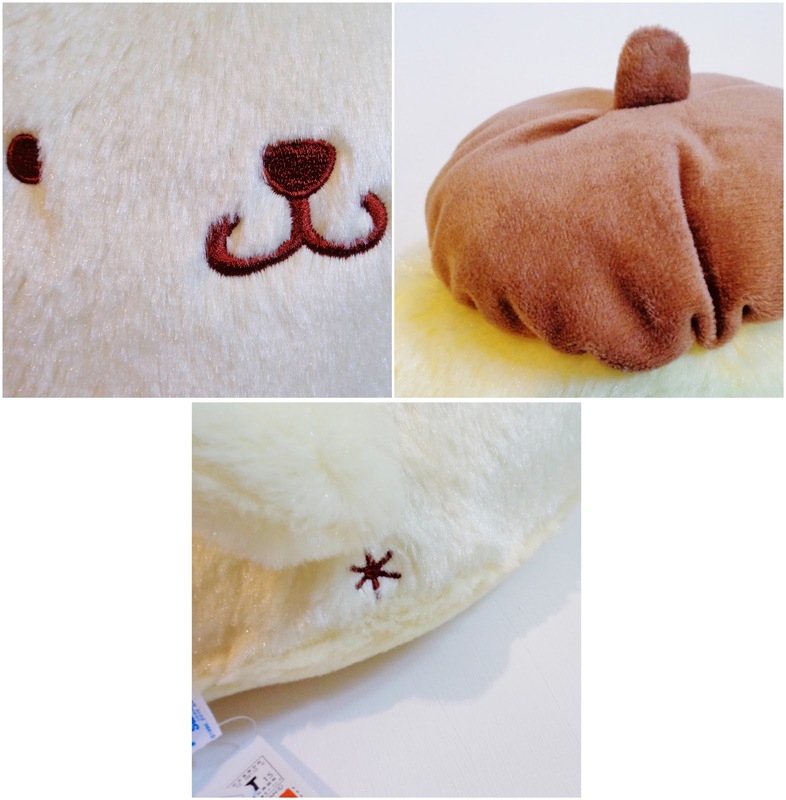 Pompompurin is a cute labrador who wears a beret. He is a friend of Hello Kitty and like Cinnamoroll he has his own bakery. 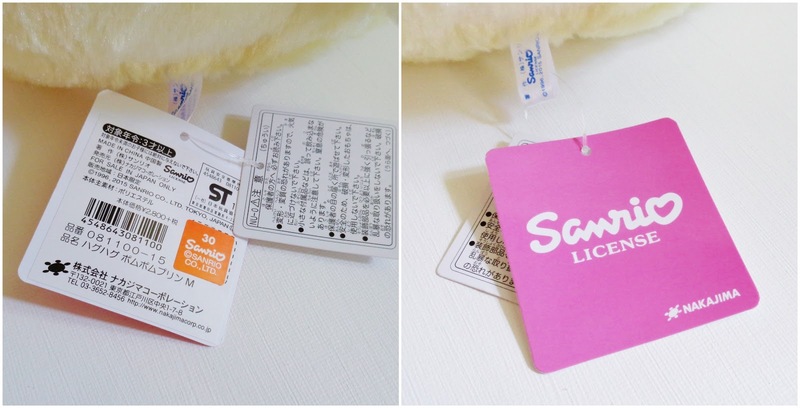 I love Pompom he's so adorable and yet there is not much merchandise of him. I've personally been looking for a plush version of him for ages but I was kind of picky, only wanting one which represented him in his roundest most pudding like form. This plush was exactly what I was looking for. He is super soft and cuddly and once again a top quality product. The stitching on his face is excellent and the same with his bottom! And his beret is velvet. 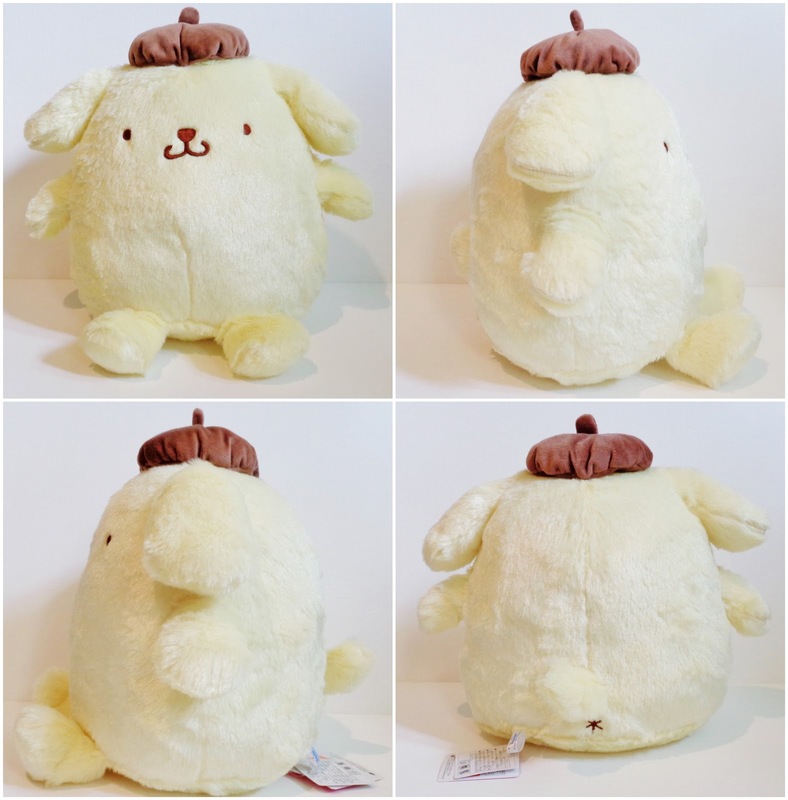 If you are a fan of Pompompurin and are looking for merchandise featuring him or if you would like a plush, I bought him from Pop and Cute, a Rakuten seller. However I managed to get the last Pompompurin in the large scale so at the moment they only have smaller plushies available.